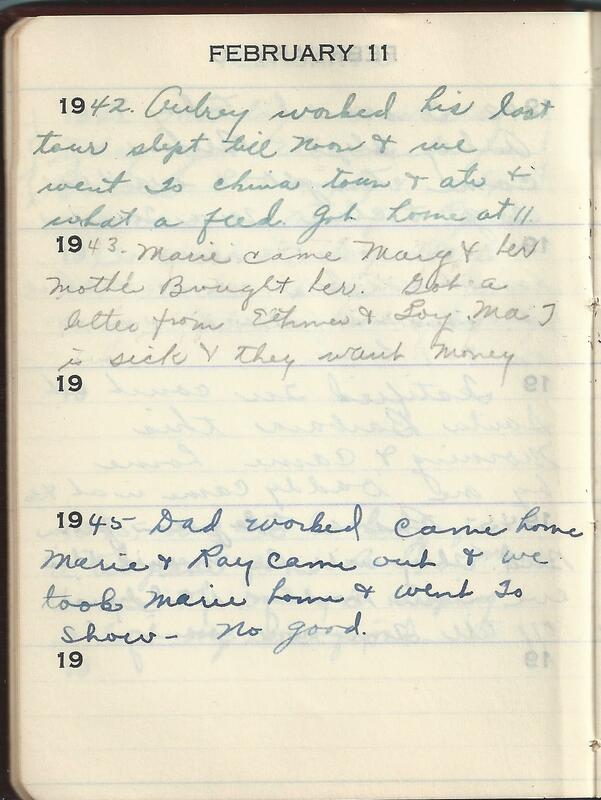 1945 Dad worked came home Marie and Ray came out & we took Marie home & went To show – No good. Ethmer and Loy, mentioned in the 1943 entry, are Grampa’s brother and sister who still live in Oklahoma. Ma T is great grama Tennant who lives with Ethmer.